As we head closer to Christmas and New Years Eve some brands have truly pulled out all the stops and Bobbi Brown is one of them. They have released a number of palettes for the festive season but one in particular caught my eye. Bobbi Brown release a limited edition palette exclusive to Selfridges every year and this year they truly out did themselves. 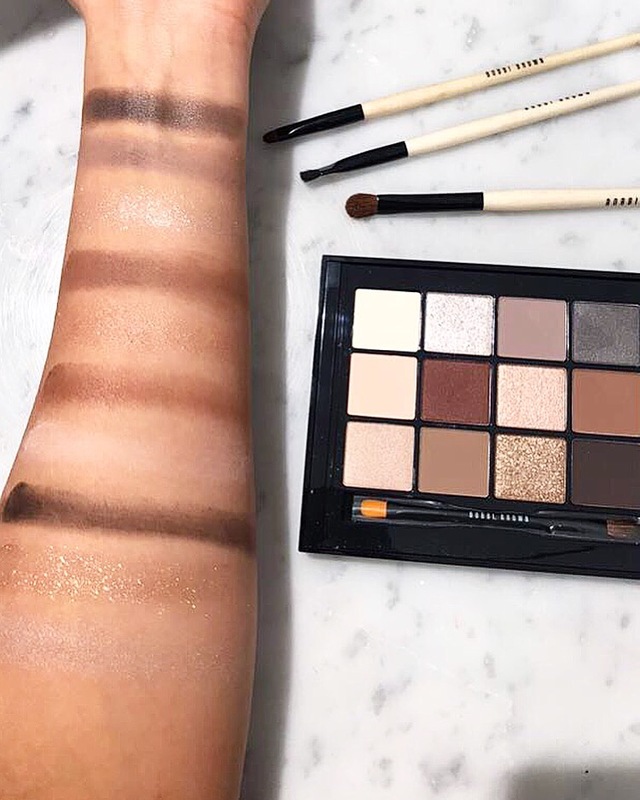 The Sparkle All Night Eye and Cheek Palette is truly divine, the array of colours that can take you from an everyday eye look to a glamorous evening look with the mixture of mattes, shimmers and metallics (12 shades in total) is genius and works on all skin tones. I wore these shadows on my eyes with a primer from 1pm in the afternoon till 4am in the morning and they did not budge. I do have quite oily eyelids so a primer is essential for me but even with a primer some other eyeshadows don’t last longer that 4-5 hours. The eyeshadows blend seamlessly with one another and the shimmers provide an exquisite shine without being overpowered with glitter pigments. There was little to no fallout when applying the majority of the shadows and I was especially shocked when the shimmers adhered to the eyelid with little fall out but packed a good amount shimmer to the lid. The bronzer warms the skin beautifully providing a subtle warmth to the face without looking muddy however, I don’t think this shade would work on those with darker skin tones. On the other hand the blushes are universal and work on all skin tones, when applied correctly is just the right shade to look fresh faced and awake and if used with minimal makeup will give you that ‘no makeup look’. I am very picky about highlighters and don’t wear any with excessive glitter pigments that make you look like a glitter ball. This highlighter gives you a subtle glow on the high-points of your face making you look like you have a natural glow, the shimmer pigments are unnoticeable which is essential for me. This palette is one of the best festive releases I have seen this year, the durability of the eyeshadows, blushes, bronzer and highlighter makes it a staple in my makeup bag. I love that the shimmers don’t have an excessive amount of glitter but just enough to make your eyes and cheekbones pop! The fact these eyeshadows last all the way through the night with my oily lids and levels of sweat when in a club is truly something to praise. If you were considering whether or not to purchase this the answer is YES, and I would go and grab one before they completely sell out! *I was invited into store by Selfridges to try out these product, however all opinions are my own.